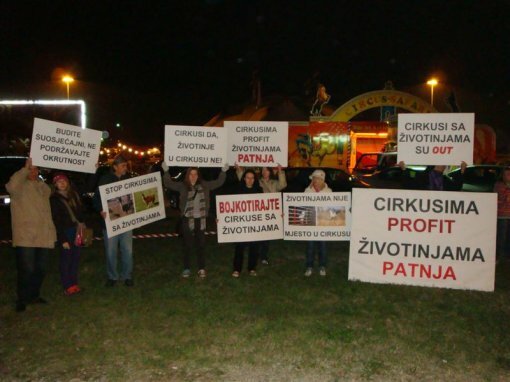 Animal Friends found another legal irregularity regarding the issuing of permit to the circus with animals which at the moment perform in the cold Zagreb. 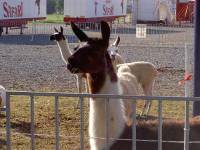 In Circus Safari there are also animals from a protected species - as the Lama guanicoe, listed on CITES (the Convention on International Trade in Endangered Species of Wild Fauna and Flora), which means that the circus cannot have the permit for their keeping. 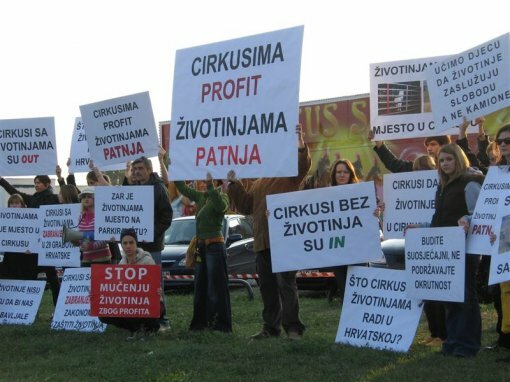 Animal Friends sent a demand for official supervision to the Inspection for Nature Protection, asking for an urgent procedure according to Article 4 paragraph 4 of the Act of validation of the Convention on International Trade in Endangered Species of Wild Fauna and Flora and according to Article 105, paragraph 1 and 2 of the Nature Protection Law. The protests will continue so animal rights activists together with other ethically aware citizens will gather on Saturday October 17 at 4:30 P.M. and 7:30 P.M. in front of Circus Safari on the eastern parking lot of the Zagreb Fair. The protests will be also held on Sunday and all other days during the circus' visit in town. 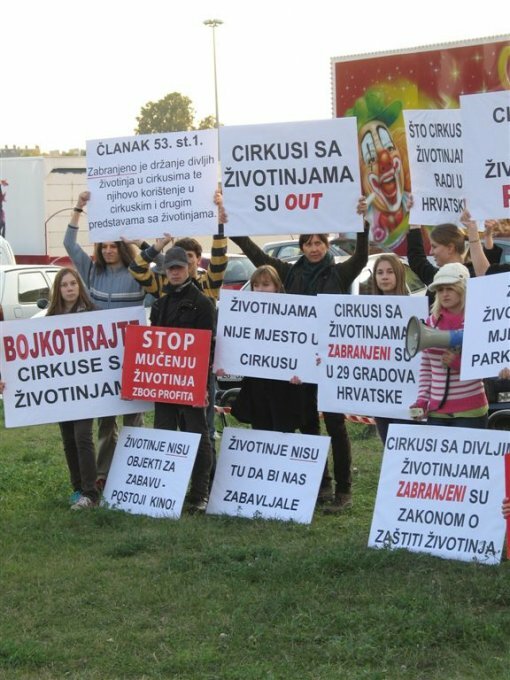 Animal Friends also sends a letter to Circus Safari in which it explains that it isn't against circuses as a way of entertainment and amusement, but is strictly opposing to the keeping of animals in circuses, that is their exploitation for entertainment and profit. 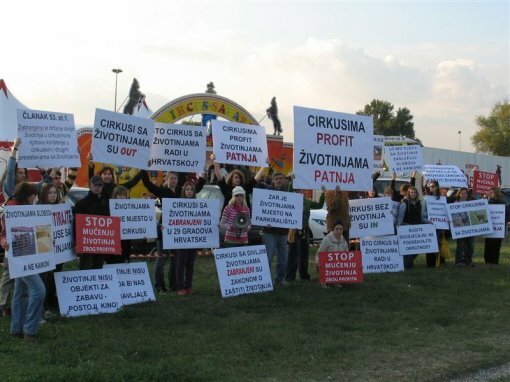 In its letter Animal Friends appeals to Circus Safari not to keep and transport any animal with it but instead to become a modern and humane circus which does not exploits and humiliates animals. Any form of animal exploitation in circuses is beyond example and it belongs to outdated and inhumane practice of our treatment of animals. The circuses of the future are circuses without animals in which people with their skills and art entertain other people.